HYPOXI China is delighted to announce opening of the HYPOXI-Studio Jian Ye Li at the ultra-luxurious and all-villa Capella Shanghai. Following the openings in ChengDu and ShenZhen (Grand Hyatt) this marks the next step in HYPOXI’s expansion plans for the PR China market – especially in the upscale hospitality sector. Several additional openings are planned and confirmed for 2018 across the country. Now finally, also our friends in Shanghai have access to this scientifically proven, unique and all-natural body-shaping program that will enable them to reach their personal goals faster than they once thought possible. 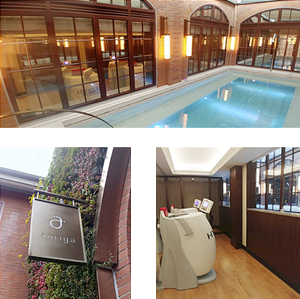 The new and fully equipped HYPOXI-Studio is located at the four-storied Auriga Spa which is an integral part of the Capella Shanghai, Jian Ye Li. Starting from early December anyone can experience the HYPOXI-Method at the new location which is equipped with the latest HYPOXI devices to cater for individuals with different needs for targeted fat and circumference loss as well as cellulite reduction through an effective yet very gentle training session. Not only this, guests now have the perfect solution to relieve water retention after their long-haul flights, too. Also, HYPOXI offers a complementary trial session to all interested parties that can easily be booked through their HYPOXI’s China website. The all-new HYPOXI-Studio Jian Ye Li is designed to provide a relaxing and welcoming guest experience with a stunning view over the vitality pool. All customers will be provided with refreshments, luscious changing rooms and, at the same time, they can make use of the steam and salt room. All HYPOXI-Coaches are not only well-trained but they are also kind, caring and professional – creating an atmosphere of support and inspiration. “We strive to offer our guests the latest technological advancements in the market. 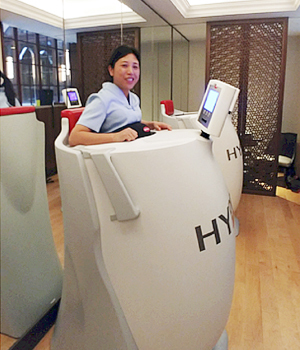 After learning about the various applications and benefits of HYPOXI, we felt it was a good fit for our brand to provide a unique experience for the discerning and sophisticated Capella guests.” says Dorian B. Rommel, General Manager von Capella Shanghai, Jian Ye Li. In order to celebrate the opening of the HYPOXI-Studio Jian Ye Li, we are offering a complementary trial session and a 20% discount on all HYPOXI-Training packages. The offer is valid until 31st January, 2018. So it’s just perfect for getting in shape for the CNY celebrations. All studio and contact details as well as directions can be obtained here. To make an appointment please feel free to drop by or call +86 21 3339 1888. Alternatively you can book your complementary trial session here directly.